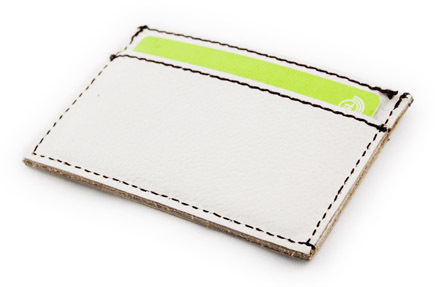 Slim card case wallet. 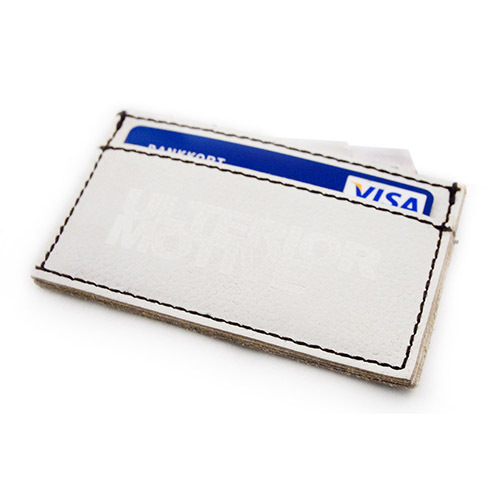 Two card pockets on either side and one middle pocket for more cards, notes, etc. 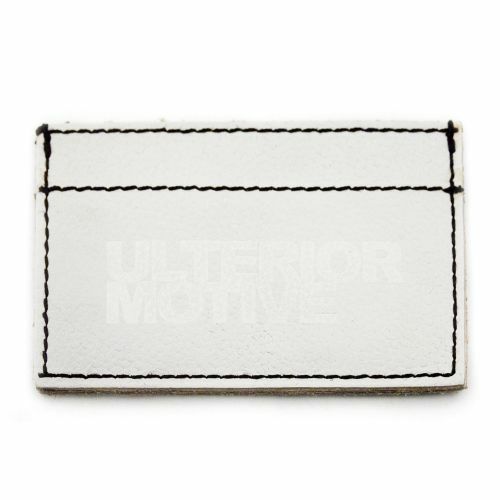 Color: Matte white with black stiching. NB. 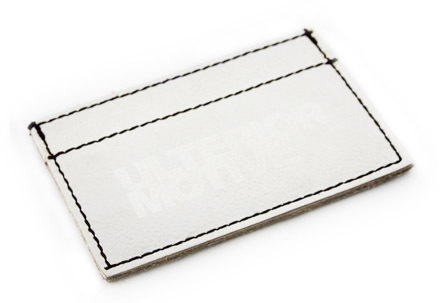 Variations in color and texture can occur due to the nature of leather.